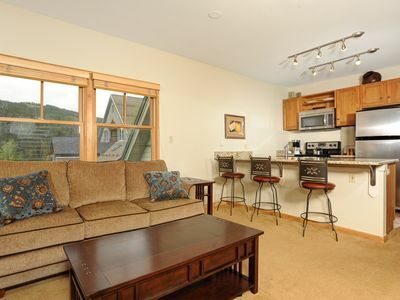 Welcome to The Getaway Frisco! 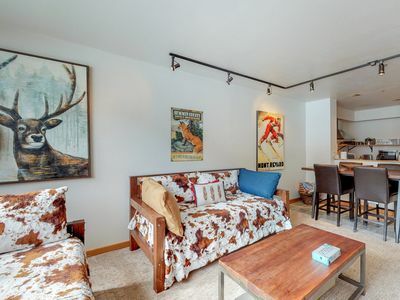 This second story 935 square foot condo has it all! 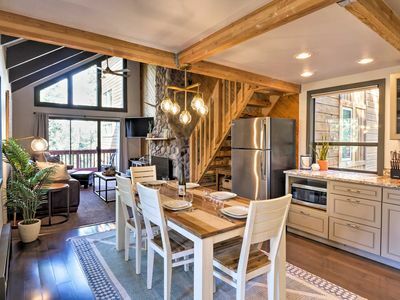 This recently updated condo features a modern design and is located on the bubbling Ten Mile creek. 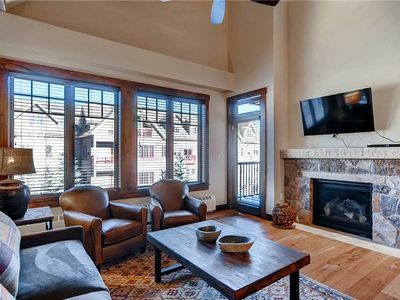 It’s just a short walk to main street Frisco where you can enjoy the many shops and restaurants. 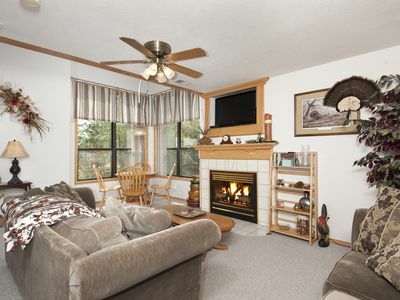 	The Den opens up to the main living area creating a spacious living space. 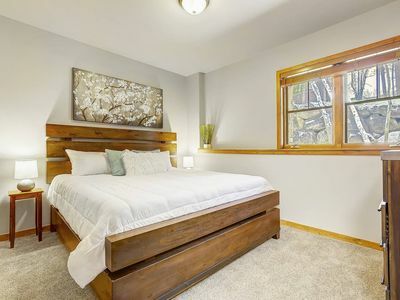 There is also a collapsible wall that can be used for privacy/separate bedroom. 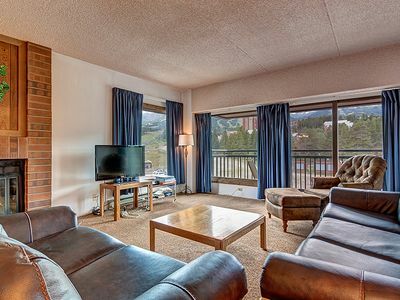 We hope you enjoy our condo as much as we do with our young family! 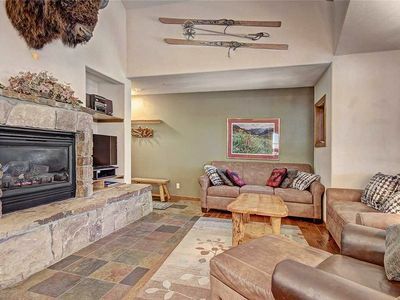 Ski in Ski Out convenience and luxury on the slopes of River Run Village. 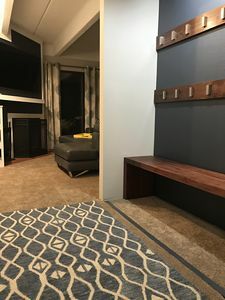 SPACIOUS CORNER LOT! 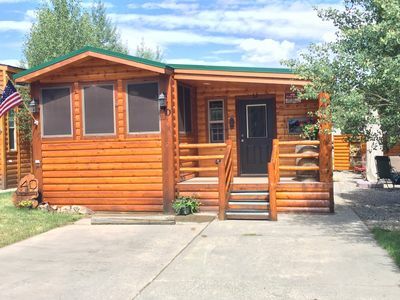 Mountain Chalet Located In Beautiful Tiger Run RV Resort. 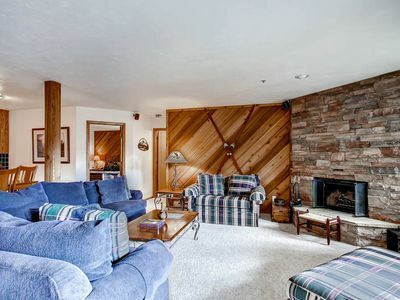 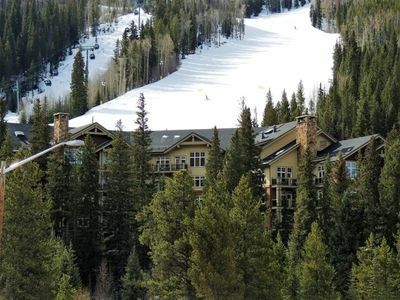 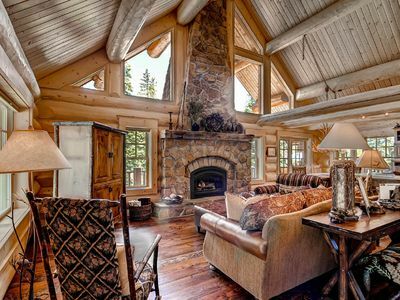 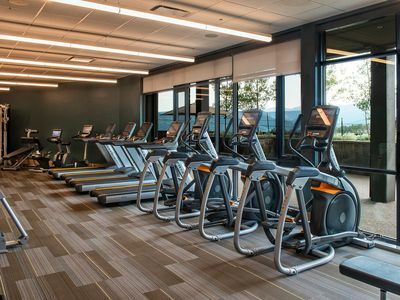 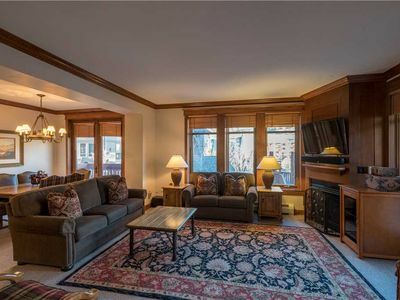 Mountain Condo + Balcony & Fireplace | Hot Tub, Sauna, & Gym Access! 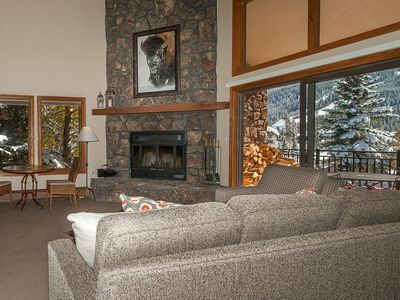 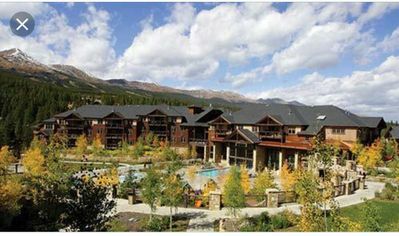 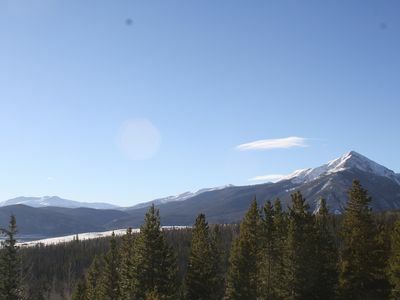 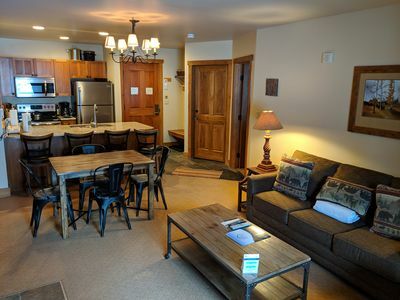 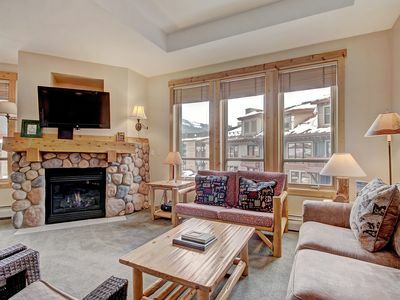 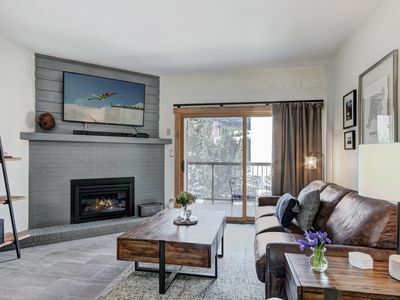 January 18-January 25th great ski-in ski-out condo sleeps 8.